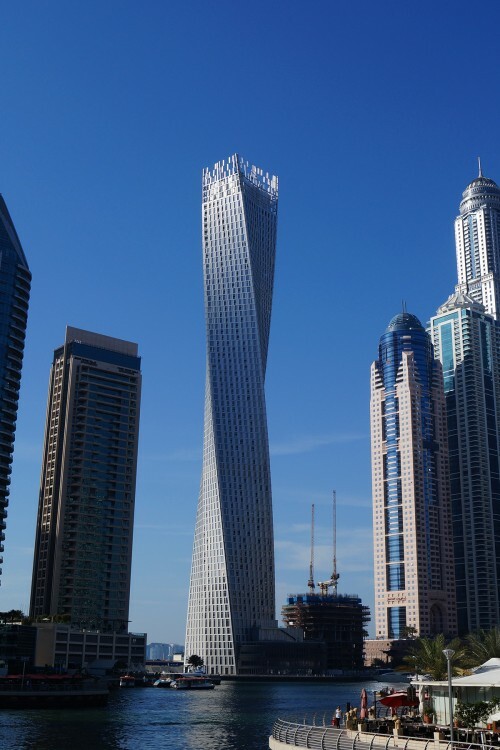 This residential waterfront tower in Dubai Marina was designed by world-renowned Skidmore Owings and Merrill, otherwise known for projects such as Burj Khalifa, Trump Tower in Chicago, and Jin Mao in Shanghai. 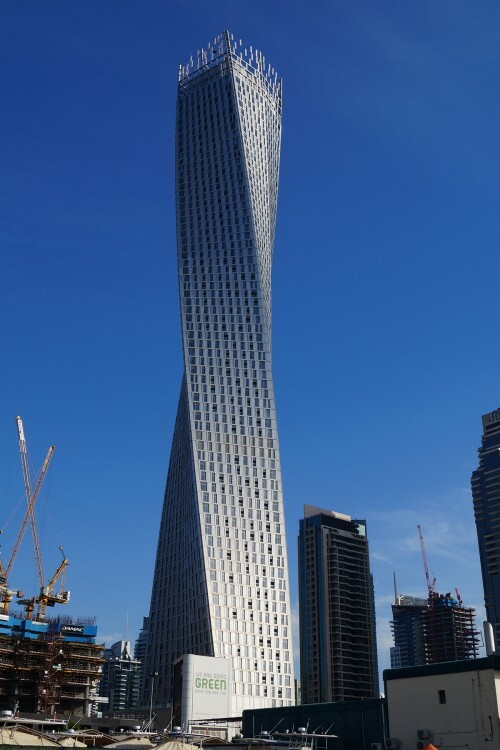 Cayan Tower is a helical skyscraper. 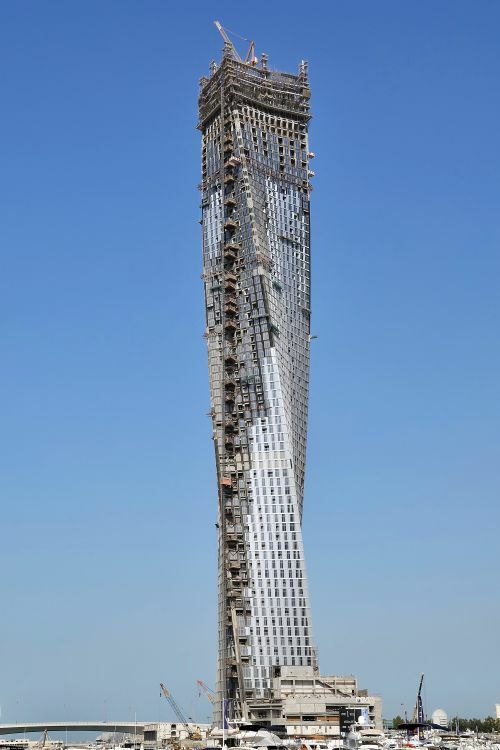 The 73 floor plates are all identical but each is rotated by 1.2 degrees against the floor below it, resulting in a full 90-degree twist over the course of the tower's 307-metre rise, creating the shape of a helix. 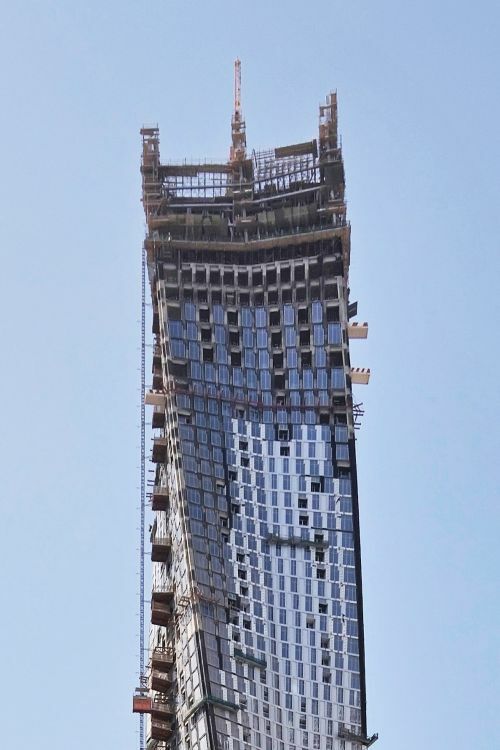 Wind load and solar heat gain are reduced compared to a rectilinear building of the same height. 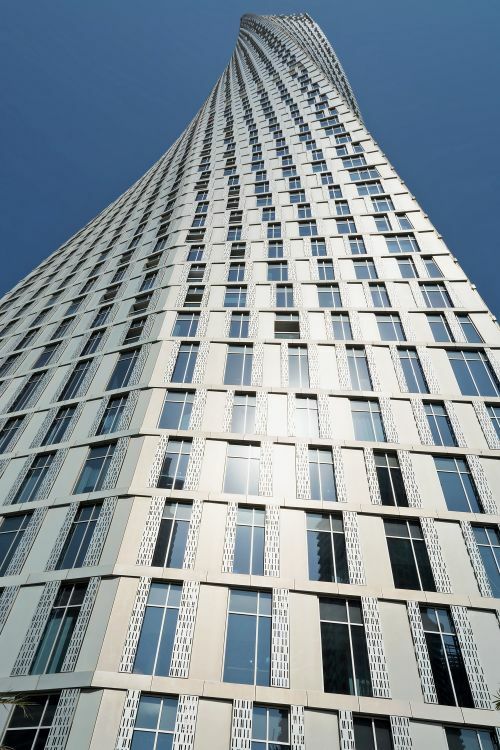 Inside there are studios, one-, two-, three- and four-bedroom apartments, duplexes, and penthouses. 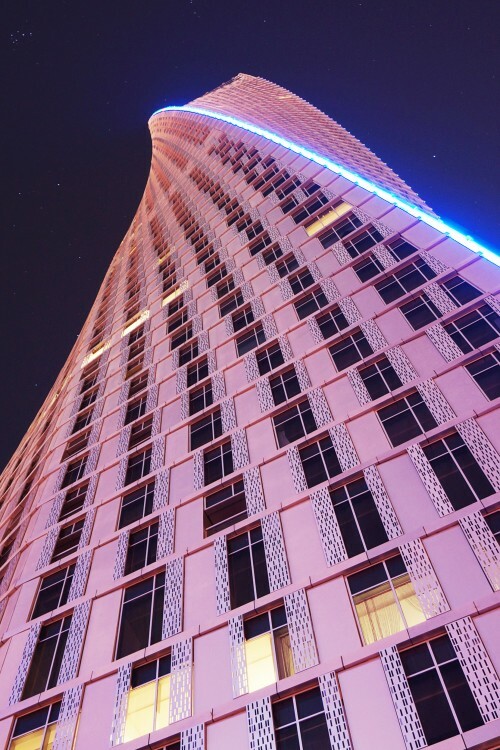 Amenities include an outdoor infinity pool and whirlpool, a children’s play area, a fully equipped gymnasium, a world-class spa, massage rooms and a nursery. 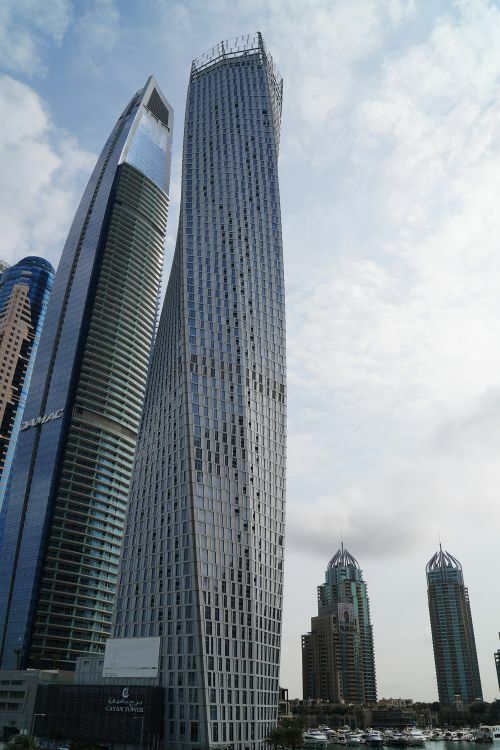 The building was completed 2013 and is situated at the mouth of Dubai Marina thus enjoying great views of the marina, the sea and The Palm. 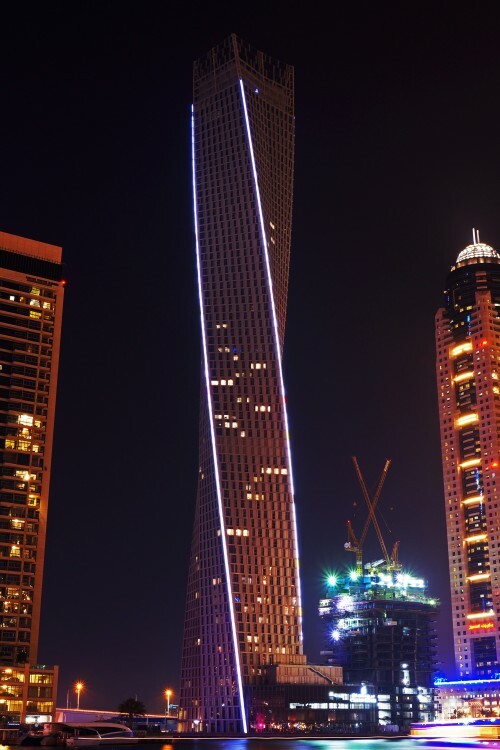 On completion, Cayan Tower was the world's tallest tower featuring a 90˚ twist. 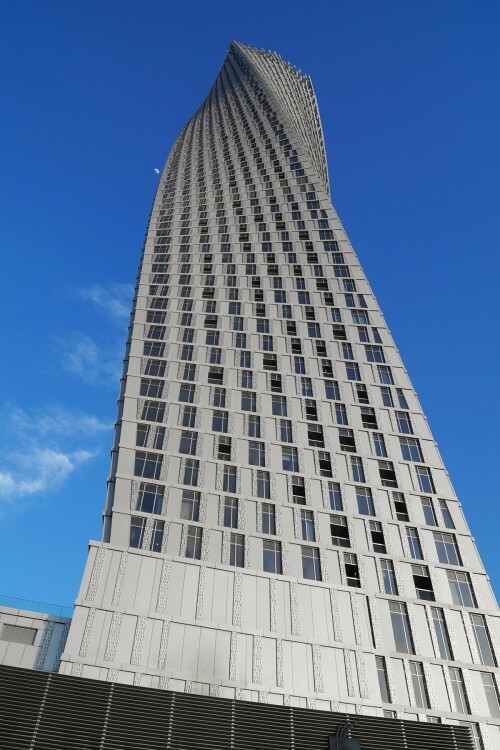 The shape of the tower is a variation on Turning Torso in Malmö, Sweden, which also twists exactly 90˚. 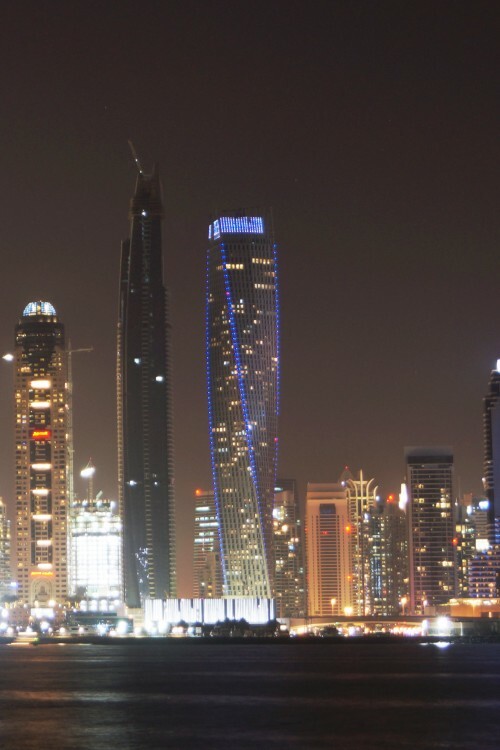 One-click links to properties currently on the market in Cayan Tower. 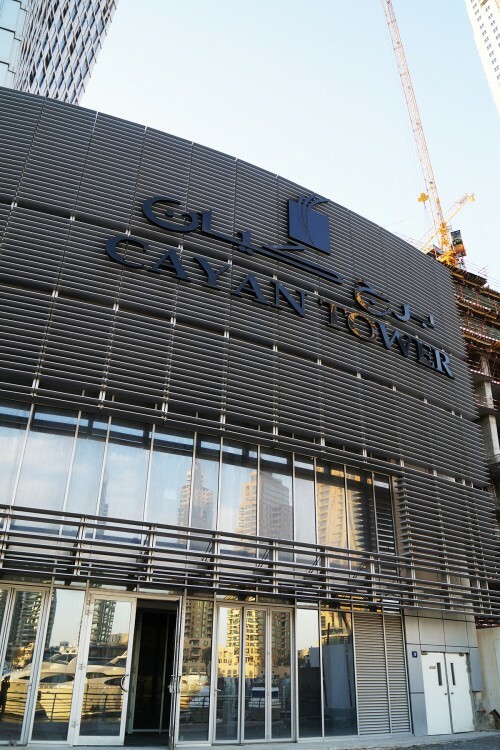 Cayan Tower reveives an overall rating of 4 based on 7 reviews. 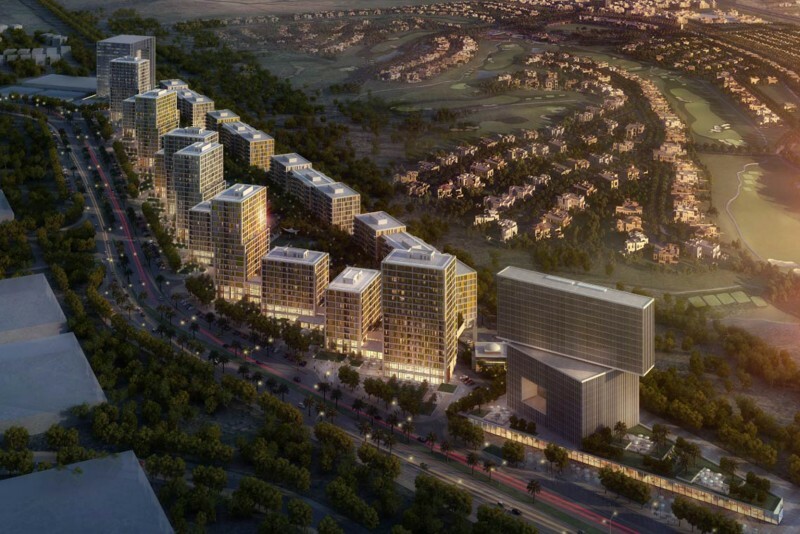 Users were asked to consider many factors including the view, finishing, layout, noise levels, traffic, public transportation, parking, security, swimming pool, gym, and maintennance. Too many downsides to recommend. Perhaps okay if you are deaf. Noise. Please don't think "It can't be that bad, it will be okay". You have been warned! No Guest parking, no restaurant or coffee shop directly under the building.